Unified Payments Interface, or simply known as UPI has been powering payment methods and gateways on a large number of applications lately. Starting from applications like PhonePe, Google Pay and BHIM, the NPCI-owned payment method has managed to amass heavy usage volume thanks to its easy transaction methods. As per a report, UPI witnessed close to 482.36 million transactions worth Rs 74,978.27 in October 2018 alone. That is a staggering number for a payment method which caught the whiff of popularity only a few years ago. On the other hand, Reliance Jio has been making strides with its different apps, like JioMusic, JioTV and JioMoney. The latter of the three is a wallet and payments app from the Mukesh Ambani led telco. Going by a new report, we have come to know that Reliance Jio might be on to the task of integrating UPI in its JioMoney application by February 2019. 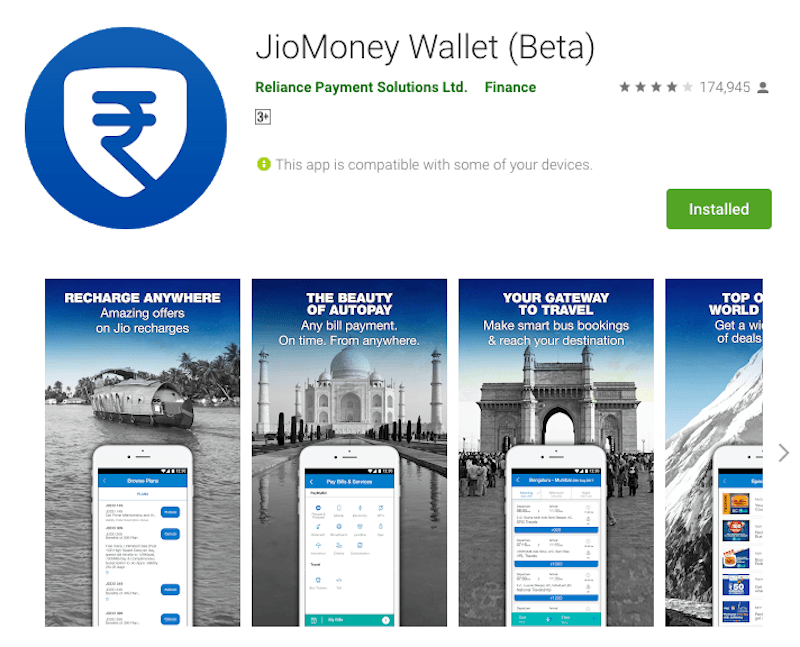 Two anonymous sources aware of the matter spoke to Entrackr and revealed, “Jio has begun an early conversation with banks including ICICI Bank, Axis Bank and State Bank of India for integrating UPI-powered payments facility on Jio Money.” It’s also worth mentioning that Reliance Jio also runs a payments bank with JioMoney in partnership with State Bank of India. The sources said that since the digital wallets are struggling to scale because of increased adoption of UPI, Jio is betting on the UPI wave and looks ahead to riding it in the coming times. The telco is expected to roll out the payment method in the first quarter of 2019. The sources further informed that Reliance Jio is now on the task of seeking approval from the NPCI, this was also confirmed from some of the officials at NPCI. Additionally, as per this new report, Jio also seems to have already decided a few people who will be heading its UPI segment. Right now in India, the UPI payments rally is led by the SoftBank backed company Paytm, followed by PhonePe and Google Pay. According to a report published by Paytm last month, it accounted for 37% of the total UPI transactions in India. Also, even after NPCI’s final nail in the coffin for fraudulent UPI transactions, the total volume and amount of UPI transactions stayed on a positive growth curve. On the other hand, WhatsApp has also been on the task of developing its own UPI based payments system called WhatsApp Pay. However, the Facebook-owned giant had entered into a tussle with government authorities over issues of privacy. To meet Supreme court mandate, WhatsApp had appointed Komal Lahiri as local grievance officer. When WhatsApp comes into the UPI payments segment, the competition is going to intensify further as the company will have the advantage of an already existing massive user base. Without offering huge cashback Jio money app will not succeed in payment sector. For Jio recharges, Jio Money doesn’t provide any offer. This shows how serious is the Jio Team regarding this App. They should have offered the highest cashback on the recharge amount through Jio Money and not PhonePe if they wanted to make it popular. Only GOD knows what Team Jio thinks. Also if MyJio coupon of Rs.50 discount could work on JioMoney app, would have been better. Missing that 50 discount offer of 1st Jio recharge back in April 2017. +100 Sirf ek baar hi aaya tha Offer, uss k baad kabhi nahi aaya.